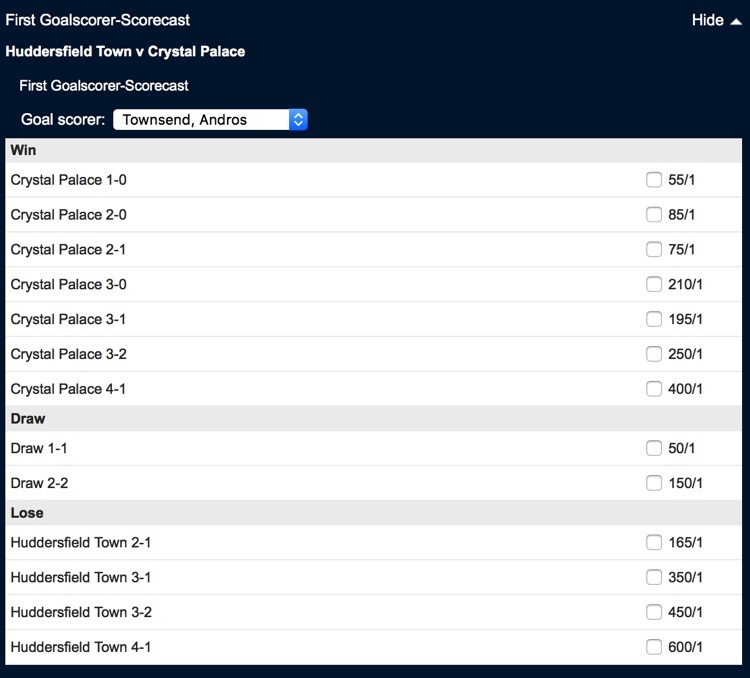 If you’ve read the article on First, Last, Anytime Goalscorer markets then you’ll have seen a reference to Scorecast as a betting tool within it. There are also variations on the same theme, such as Wincast, Anycast and others of a similar ilk. That’s why I’ve written this page, to help those of you that might know all about the various Goalscorer bets you can place but aren’t quite as confident on these more varied bet types. 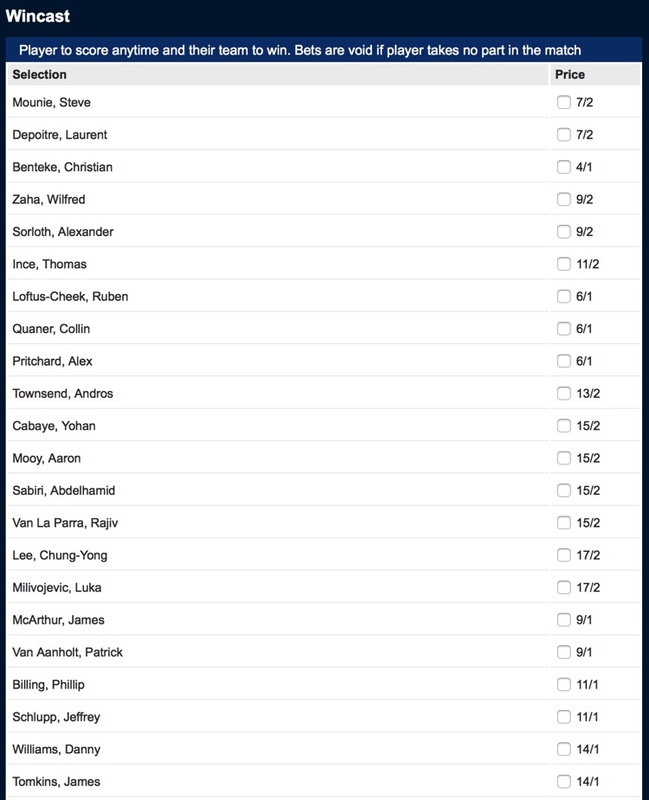 The First / Last / Anytime Goalscorer market piece is the place to start if you’re completely green on the matter, as that will give you a good idea of the sort of thing that I’m talking about. However, Scorecast is a different animal entirely. That doesn’t mean that you can’t just dive straight in here, as I’ll explain in detail how the bet works and what the benefits of placing it are. I’ll also look at why you can’t include Scorcast bets in accumulators that you might be looking to place, as well as give you advice about the sort of information you’ll want to think about when placing your Scorecast wager to give you the best chance of winning it. When you go to the Scorecast section of the site, you’ll find a dropdown box that contains the names of the players from both teams. You simply need to select the player that you think will get the first goal and the odds of the various scorelines will adjust accordingly. Pick a player that tends not to score many goals and the the odds will lengthen. Combine that with a scoreline that isn’t common and they’ll lengthen still further. That’s how you find value in the bet, though of course it’s worth remembering that that also makes it less likely to happen! 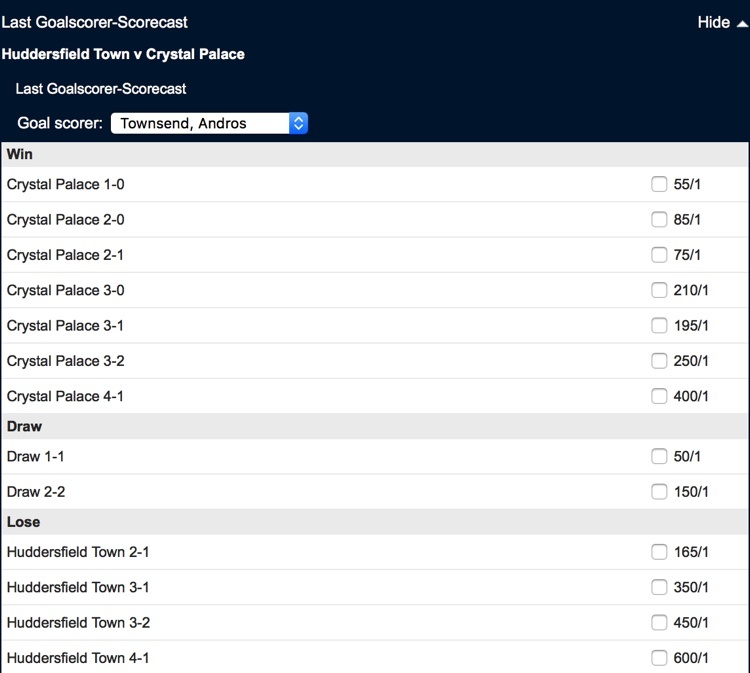 Not all bookmakers offer the Last Goalscorer variation of the Scorecast, but if they do then you’ll find it in the same place that you’ll find the the ordinary Scorecast. 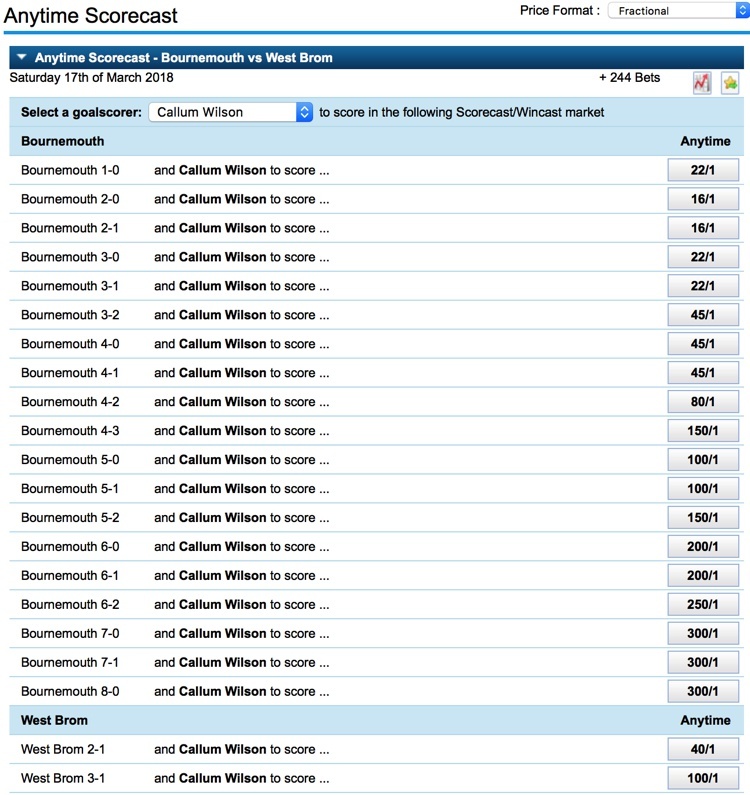 If not there then it will be somewhere within your selected bookmaker’s match coverage. Simply follow the above guidelines, selecting the player you think will score the final goal of the game and the Correct Score you think will be in place at the end of the match. Again, though, the principle is exactly the same as a standard Scorecast. You select a player that you think will score at any point in the match from the dropdown menu that lists all of the players, then you choose the score you think the match will be at at full-time. Again, the more random score you select or the less likely your chosen player will be to score, the longer the odds will be on that outcome. You’ll usually find, though, that the odds are shorter on Anycast bets than on the same selections with a standard Scorecast bet. That’s because your player can score at any point in the math with a Wincast, rather than needing to score either the opening or closing goal of the game as they do with a First or Last Goalscorer Scorecast. You can see the dropdown menus and the odds at the end, which will change depending on your selections. If you want to give yourself longer odds then selecting a player to open the scoring that doesn’t get on the scoresheet very often and combining that with picking the team that they don’t play for to be the winners of the game. There are several things that you’ll want to take into account before placing your bet if you want to give yourself the best possible chance of picking up a winner. For starters, do teams have players that often tend to open the scoring for them? What about players that usually score the winning goals of games? All of these are the same sort of tips I gave when discussing the straight First / Last / Anytime Goalscorer market, so give that page a check to see if there’s anything else you can take from that. Some teams have players that have odd records. For example, for a time Liverpool didn’t lose a game if the midfielder James Milner got his name on the scoresheet. Opting for him as a the scorer and Liverpool as the team in any Anycast bet wouldn’t have been a bad idea, therefore. These are the sort of things that you need to investigate and think about if you’re hoping to get one up on the bookies. It’s also worth having a look to see if any teams have a record of racking up specific scorelines, for example, or whether or not they tend to go on and win or lose if a specific player scores during a match. As I always say, research is your friend when trying to find a bet that will give you some winnings. There are tons of coincidences in football, but if “coincidences” keep happening then there’s something to think about on that front. Footballers and managers are just as superstitious as the rest of us, so if a player who always scores the winning goal nets then don’t be surprised to see the team he plays for going on to take all three points. Equally, if two teams have played each other ten times over the past five seasons and the game has ended in a draw on eight occasions, choosing a goalscorer and then betting on the draw won’t exactly be a stupid thing to do. Why Can’t You Include Scorecasts in Accumulators? As I mentioned before, Scorecasts and similar bets are, in essence, miniature accumulators all of their own. The events that are included in them are linked, meaning that you need both of them to happen in order for your wager to be a winning one. The odds on them both occurring are longer than each of them happening on their own. That means that the odds of the Scorecast are longer and you therefore can’t add them into an accumulator. You could have a Correct Score bet and a First Goalscorer bet as two separate things as part of an acca, but by combining them into a miniature acca you’re already giving yourself longer odds and adding that bet to a larger accumulator would just make things more complicated. I’m going to talk about Bet Builder and similar offers that are run by some bookmakers on their own page, so I won’t go into too much detail here. Even so, it’s worth giving them a quick mention as they work in a similar way. They allow you to make your own bet up, as you might well have guessed from the title. They all work in different ways, but essentially you’ll be looking to pick a given number of selections and put them together to make your own market. Normally the bookmakers concerned will only offer the likes of Bet Builder or Request-A-Bet on pre-match markets, meaning that you’ll have to think about it ahead of the curve if you want to place that sort of wager. You’re again making yourself miniature accumulators, with the major difference being that if any market within your bet is void then the whole bet is void. That’s different to accas, whereby if one leg is void then the accumulator will just become six-fold instead of seven and so on. As I say, different bookmakers do these things in different ways, so make sure that you check the rules of each of the bookies for the way that they run it. Some ask you to request your chosen bet within their mobile app, whilst others prefer you to tweet them using a given hashtag. 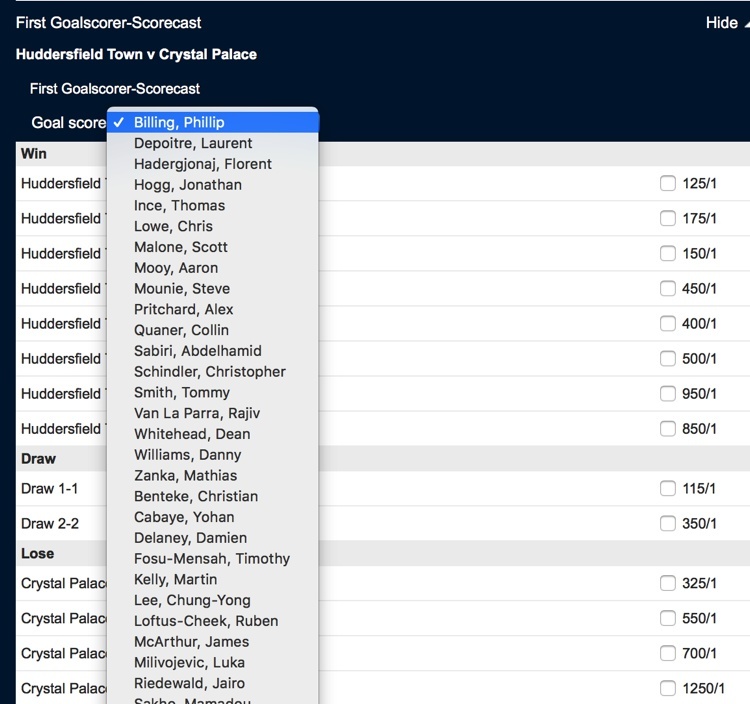 Whatever method they ask you to use, you’ll be able to build yourself your own bet in a similar vein to the likes of a Scorecast but adding in even more options, lengthening the odds on the outcome even further.